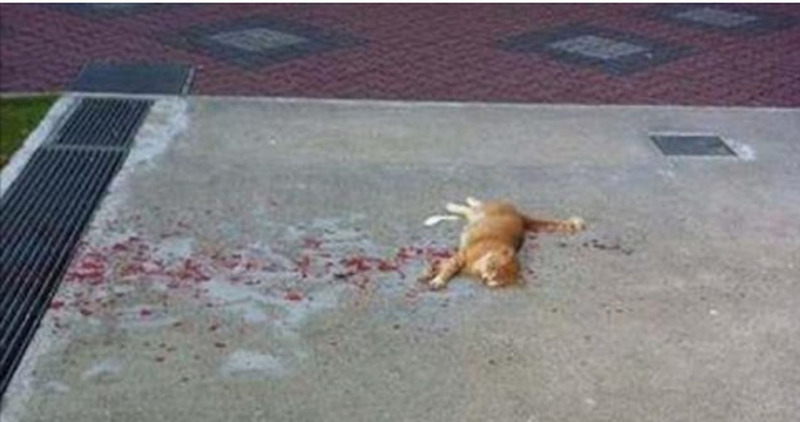 A shocking photo of what appeared to be a cat bleeding on the road went viral. 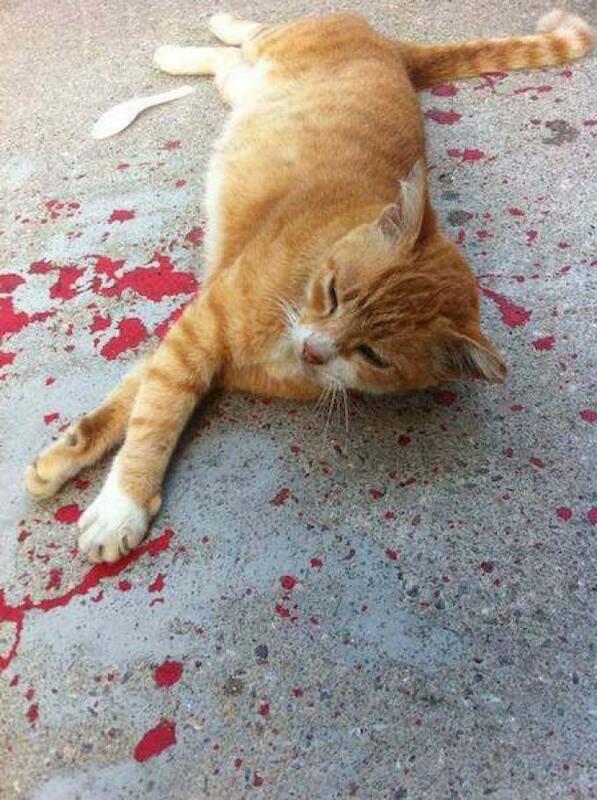 In the picture, the cat appeared to be dead or badly injured due to the fact that there is blood surrounding it. The person who took the photo decided to investigate, and discovered something shocking as they got closer. 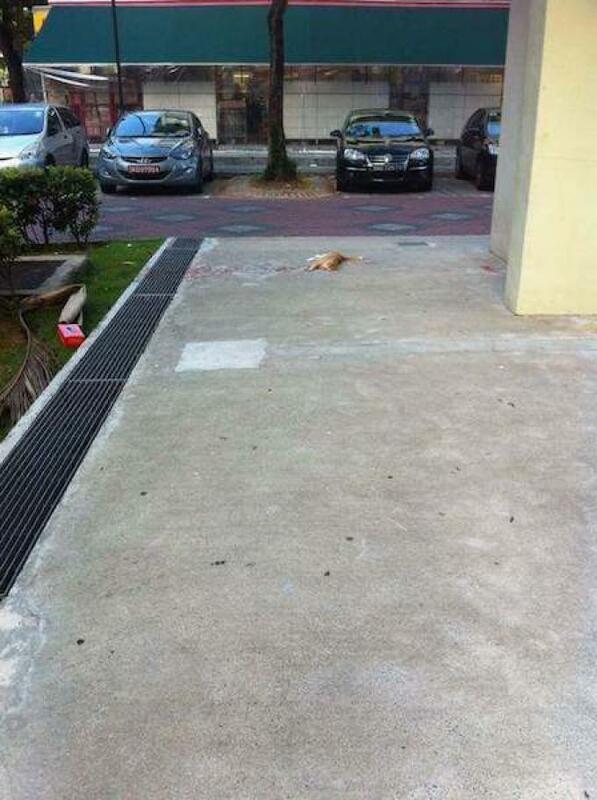 At first glance, it looked like the cat was injured. As the photographer got closer, however, it became clear that something wasn’t as it seemed. 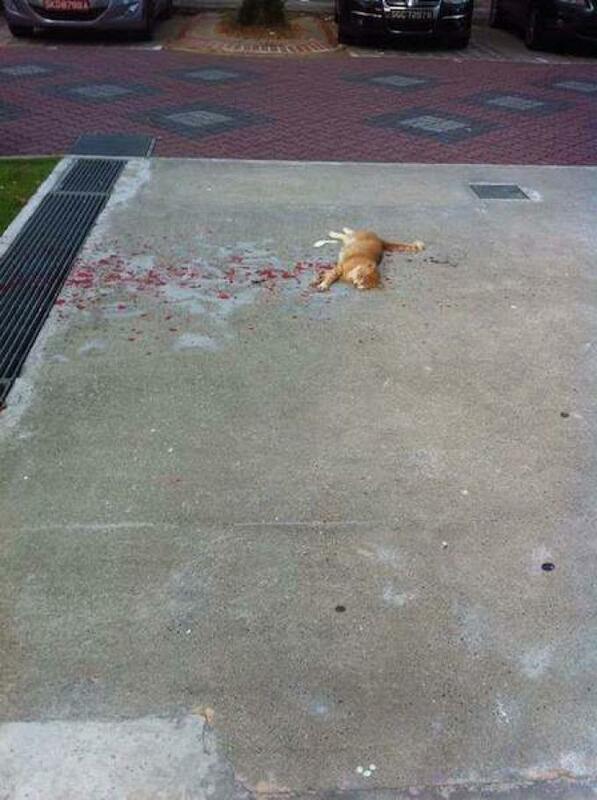 Thankfully, when the photographer reached the cat, they found it laying down on top of dried red paint splattered on the concrete. It was alive and well. “So relieved it had a happy ending,” one Newsiosity reader wrote on the site’s Facebook page. “That Cat is downright deceitful! Never trust a Cat!” another wrote.